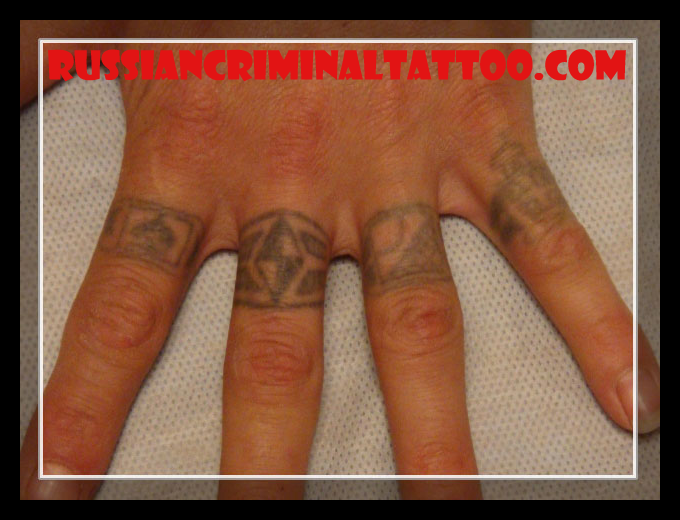 On the index finger Spades tattoo, most likely this is thief's suit. On ring finger - The sun shines in the side of the bars - Half his life in prison - The owner of tattooing was serving a long prison term. On the little finger - Save and Protect, convicted hopes only to themselves.